We view each new patient as a chance to change a life for the better. 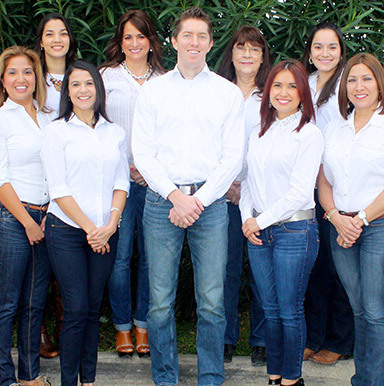 The Los Fresnos Dental Center is dedicated to excellence in the patient care experience. If you’re new to our practice, you can visit our FAQ page or contact our office directly with any question or concerns you may have before your appointment. For your convenience, we’ve also made some of our most used patient forms available for download so that we can expedite your appointment time. With your comfort always in mind, we also offer spa like relaxation amenities and sedation services to ensure that your dental care experience is always stress free and soothing. With this same goal in mind, we strive to offer the latest and most efficient dental treatments which minimize discomfort, healing time, and the time you need to spend in the treatment chair. If you’re seeking a truly unique and patient centered dentistry, we welcome you to schedule your first appointment today.